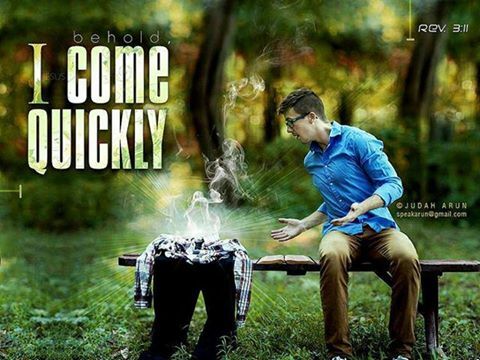 A seven-minute video dubbed, “Rapture 9-1-1 . . . R U Still Here?” has made its online debut aimed at evangelizing tribulational unbelievers. In order to appreciate its effectiveness, present-day viewers must have the mindset of someone who has missed the Rapture of the Church, therefore left behind to endure the terrors of the tribulation as described in Revelation. According to the video’s script writer, Mignette Patrick Dorsey, the short video will offer hope to terrified viewers of the future. Dr. Larry Patrick, pastor of Charis Chapel Bible Church, the executive producer, admits the production is relevant to those who believe the Rapture of the Church will occur prior to the start of the tribulation, or, the Hour of Judgment, as the Bible also calls it. Christopher Houck of “Mellowdesigner” filmed and edited the video, while Deloris Madison Productions provided the actors featured, actors who delivered more subdued performances as they were instructed to imagine how petrified future audiences might feel. Viewers are encouraged to post the movie below and/or download the video to DVDs and leave them . . . wherever future unbelievers are (expected to be) found. This entry was posted in Blogs, Editorials, World News and tagged End Times, persecution, R U Still Here, Rapture 9-1-1, Tribulation, video by Kris Patrick. Bookmark the permalink.